ORANGE WALK–At this time, the two main partners in Belize’s sugar industry, namely the Belize Sugar Cane Farmers Association (BSCFA) and the Belize Sugar Industries/American Sugar Refineries (BSI/ASR), are working on a proposed commercial agreement to govern the relationship between the two parties, and which will aim to settle several points of contention that have overshadowed the rocky relationship – in particular, a revenue-sharing arrangement for bagasse, a disputed byproduct of sugar which is currently sold for use in the generation of electricity. Two weeks ago, on September 8, BSCFA and BSI/ASR held a meeting at which the sugar producers presented a completely new commercial agreement to the cane farmers; however, neither side elaborated on the contents of the new agreement at the time, so as not to jeopardize the state of the negotiations. Yesterday, though, BSI’s Financial Director, Belizario Carballo, spoke to the media about the details of the new terms in the proposed agreement which, as we reported, build upon several points previously agreed on, and also include new terms that have been agreed to in principle, such as clarification of key transaction points in the sale/purchase of the sugarcane. While the new proposed agreement sets out how the price of cane is to be determined, Carballo provided more details on the comprehensive agreement – outlining the structure according to which revenues from sugar are calculated. “The cane is paid on the basis of revenues derived from the sale of sugar and molasses, and there is a formula in the agreement that determines the net revenue that is derived from those sales. That revenue seeks to value the sugar once it is produced at the factory; it’s like an x-factor value, and there is a formula of how that value is determined. Once that value is determined, 65% of that is paid to farmers for cane, and 35% goes to BSI, from which BSI then has to recover all of its cost that is incurred while producing sugar”, he declared. Carballo then went on to state that one key aspect of the previous agreement that has been retained is the method by which the price of the cane is calculated – which is done on the basis of a metric value, which is arrived at by subtracting expenses incurred in taking the sugar from the factory to the market, from gross revenue. “Once the sugar has been produced at the mill, we try to quantify that value by taking the gross revenue, in other words what you actually invoice the buyers for, and you deduct those costs that you incur in getting the sugar from the factory to the market, which is essentially freight and handling. “Once you arrive at that value, 65% goes to the farmers for payment of cane, and then 35% goes to BSI, so that formula is essentially being retained in the new agreement,” Carballo explained. “Those are the main determinants of that formula that will impact on the payment content for bagasse, but that will become part of the formula to arrive at the price for cane that is being retained,” said Carballo. While the new proposed commercial agreement has been in the pipeline for over two years, the proverbial pipe burst when the ongoing issue over bagasse payment surfaced shortly before the 2013/2014 sugar crop season, which was sidelined for over two months, in part because of a standoff in which local cañeros refused to deliver cane to BSI’s Tower Hill factory in the absence of an amicable agreement for bagasse payment. Both sides later agreed to commence the season in late January and to conclude negotiations by the end of the last crop season; however, the controversial matter remains unresolved. Carballo outlined that the new agreement will definitely involve a quantum payment for bagasse, but noted that BSI/ASR did not change their position in terms of the company’s proposed formula for the quantum bagasse payment, which remains at 51 cents per ton. 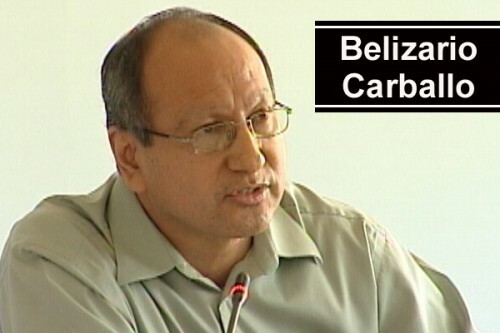 According to Carballo, the formula is based on the percentage of fiber contained in the sugar cane, and the quantity used by the Belize Co-generation Energy Limited (BELCOGEN) to sell electricity to the Belize Electricity Limited (BEL). Based on the 2013 BELCOGEN report, BSI is willing to retroactively pay cane farmers 51 cents per ton of cane delivered; however that proposal was flatly struck down at the last cane farmers’ meeting, since the cañeros believe that they are being shortchanged by the sugar company. Of note is that this is the first time that BSI/ASR presented, in black and white, an audited financial report of BELGOGEN to the BSCFA since the negotiations commenced, which is something that the BSCFA has been clamoring for from the payment proposal was first presented by BSI. Carballo said, “This report was just presented to the BSCFA last week, but the same information was presented to them before. What we have now done is simply an audited report essentially confirming by our extension auditors that the information that we have previously provided to them is correct and is in accordance with our audited financial statements. Carballo further explained that the new agreement also seeks to introduce an improvement in the method of delivery of sugarcane, since farmers have lamented that they find it frustrating when they are not able to deliver their entire product on time. “We are trying to address that matter by forming a group of both BSI representatives and BSCFA representatives who would be working as a group throughout the crop to plan the harvest based on information that is now more available than before – information about maturity, about varieties, about where those fields are, and so it is important that we plan the harvest in a way that is most efficient because at the end of the day, we want to ensure that the quality of the cane that is delivered to the mill is optimized so that we can extract as much sugar from the cane as possible,” he said. As the situation currently continues without much progress, Alfredo Ortega, the vice chairman of BSCFA’s Committee of Management, later informed us that they also have a proposal that they are planning to present to BSI at their next meeting. At the same time, Ortega stressed that local cane farmers have not given the association any directives to accept any proposal from BSI until the next cane farmers’ meeting, at which the cañeros will scrutinize BSI’s most recent proposal. Ortega, however, maintained that they (BSCFA) are determined to conclude the negotiations before the next crop season begins in the next two months. BSI and BSCFA are scheduled to meet again on October 9, 2014 to discuss their review of the proposed commercial agreement.